Modern movie audiences are hard to impress. The popularity of Avatar (2009) and its CGI-heavy effects spawned a whole new level of expectation in viewers. 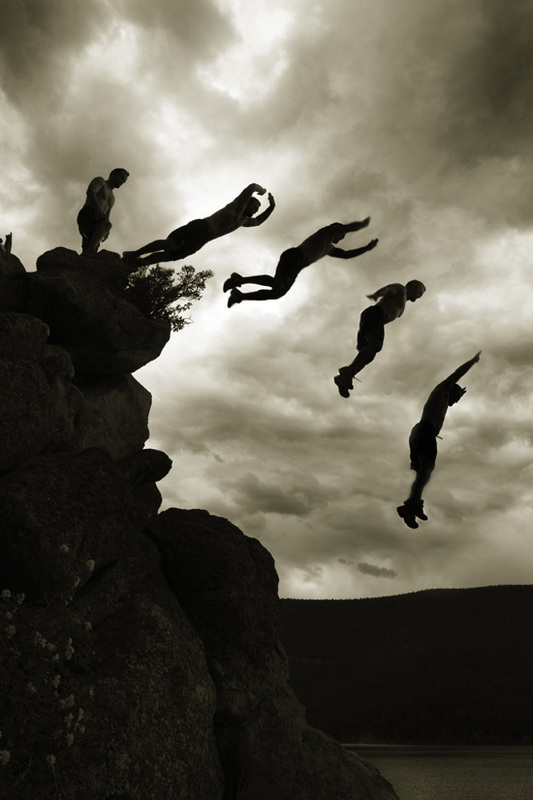 However, as the computer-generated visuals became more and more preposterous, audiences have found a new appreciation for movie stunts done the old-fashioned way, by using actual people and vehicles. Though many stunts appear to defy the laws of physics, some are not as complicated as they appear on the big screen. Here are a few common, tried-and-true stunts we see in films, and how cast and crew pull them off. If there is a chase scene in a movie with a semi-truck, it is safe to assume that someone's going to be hanging on to the passenger door and trying to climb through the window. The Amazing Spiderman (2012) is no exception, except that when a protagonist has superpowers, the scene had better be pretty super. In the film, the semi-truck is driven by the Rhino (Aleksei Sytsevich), and Spiderman (Andrew Garfield) slips effortlessly in and out of both windows, greatly irritating the Rhino. Spiderman's movements appear superhuman, so how did they do it? 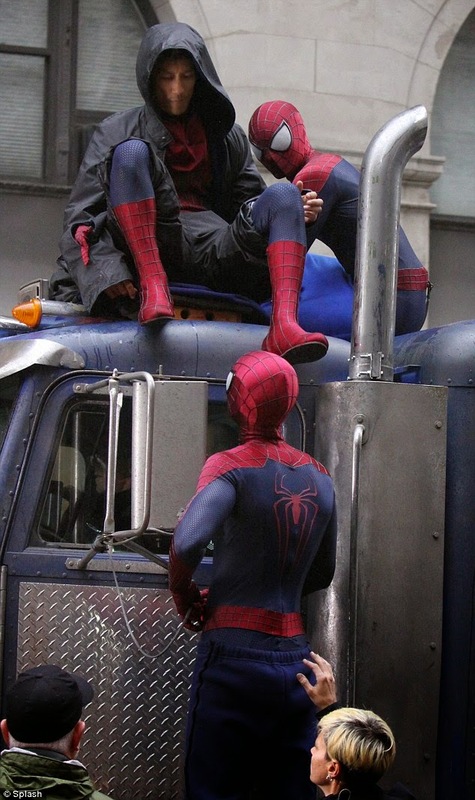 This stunt was performed by Garfield and two stunt doubles, who all three suited up as Spiderman and clung to the truck as it raced through New York City. The doubles took turns swooping in and out of both windows as Garfield maintained position on the exterior. Arguably the most classic of vehicle stunts is the car jump. 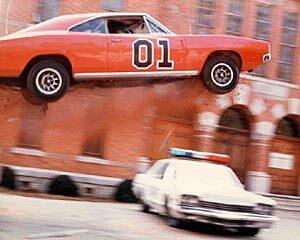 The Duke boys popularized this move in The Dukes of Hazard (1979-1985) as the duo jumped the General in nearly every episode of the show's six-year lifespan. Most recently revamped in Need for Speed (2014), the car jump is making a comeback. In this film, sidekick "Little Pete" and his Koenigsegg are rammed from behind and shot straight into the air, then the car behind speeds directly underneath him. A standard hidden ramp was used and a GoPro Hero 3 camera was mounted to the Koenigsegg and aimed down at the ground. Cinematographer Shane Hurlbut reported that the main goal of that shot was to capture a perpendicular view of the car on the ground from the perspective of Pete, giving the audience a sense of what the character was experiencing. Though some scenes in Need for Speed cheated and used CGI enhancement, the car jump was old school and required some serious car prepping. In order for car stunts to be performed accurately and safely, the vehicles have to be equipped with safety features, including high performance tires, available for stunt drivers and average Joes alike. What's the point of an action scene without a motorcycle slamming into something? This stunt has been utilized in countless films, but one of the most impressive instances was in Mad Max (1979). 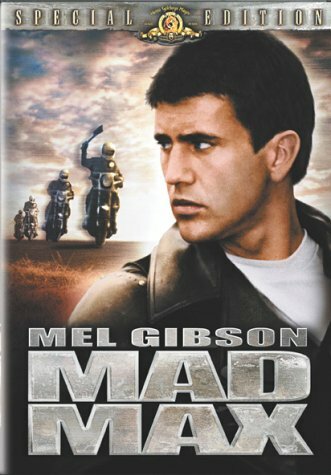 Completed on a budget of only about $350,000 Australian dollars, the stunt coordinators for Mad Max had to get creative. Director George Miller hired an actual gang of Australian bikers to play the members of the brutal Acolyte biker gang, and with limited stuntmen available, Miller opted to use a dummy of Acolyte biker Toecutter in the scene where Max forces him into an oncoming semi. Miller also hired a real truck driver who agreed to use his own truck, but reportedly insisted on some kind of shield for the front of his rig to protect it from damage as he barreled over the Toecutter dummy and motor cycle. So, the whole front portion of the semi is a painted sheet of metal. Though the vehicle camouflage is pretty obvious when you know to look for it, the end result of the stunt is still gruesome. Vehicle stunts are one of the most visually stunning aspects of action films, especially if the audience is in the dark about how they are done. A peek behind the movie curtain at pros in action reveals that some are not as complicated as they appear. You can even mirror some of the performance features used by the professionals on your own vehicle, but as far as the stunts themselves go, don't try this at home.